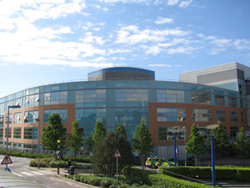 The congenital cardiac centre in Southampton prides itself on being a well organised and highly equipped unit. This has allowed Southampton to attract highly-qualified staff over the years. We have built a comprehensive congenital cardiac service integrating care from fetus to late adult life. Our program is designed to respect the varying needs of different age-groups. We are fortunate in that our unit is supported by all regional adult and paediatric sub-specialty services on-site. Our unit comprises adjacent but separate paediatric, adolescent and adult inpatient and outpatient facilities. ·	27 bed accommodation facility for families and relatives of cardiac patients (Heartbeat House). ·	Full range of congenital heart disease surgery including infant Fallots repair and the Norwood Operation for hypoplastic left heart disease. ·	Integrated adult congenital heart disease program. ·	Fontan Conversion Surgical Program: This program presently accommodates both local and national referrals (including Ireland). ·	High-risk pregnancy unit (treating maternal heart disease during pregnancy). ·	Fetal Cardiology working together with a feto-maternal obstretric unit. ·	Cardiac magnetic resonance imaging (dedicated MR magnet performing only cardiac studies). ·	3D echocardiography program: well-established and presently utilised in both the clinical and research arena. ·	Telemedicine facilities linking to local, national and international units via ISDN lines. ·	In-house conference and educational facilities (Heartbeat Educational Centre). ·	Human Genetics Division: University of Southampton: Cardiovascular genetics research including major interest in hypoplastic left heart syndrome.